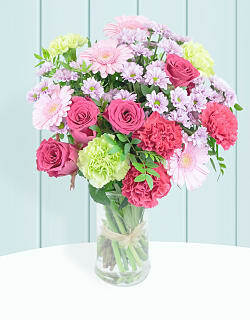 This lovely pink bouquet includes roses, stallion chrysanthemums, germinis, and carnations all beautifully complimented by lush pistacia. 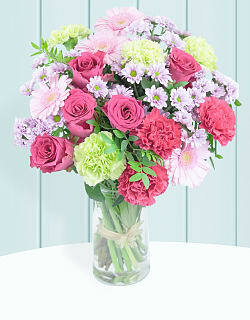 Arranged with love and care to make any recipient feel special. 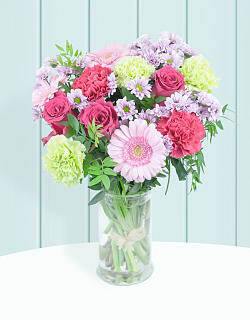 We offer FREE flower delivery on this bouquet. Beautiful Blossoms has been added to your basket.